(0 Customer Reviews) | Write Review 10 issues per year L’Industria della Gomma/Elastica (The Rubber Industry) was founded in 1957 and is sponsored by the Federazione Gomma Plastica/Assogomma, the industrial confederation of Italian manufacturers of rubber articles, electrical cables and similar products. 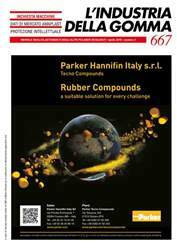 As the only Italian magazine exclusively dedicated to rubber industry, it has become an indispensable instrument for everyone who works in this business. Industries that produce semi-finished goods and finished rubber products. 20	Il 2018 per i produttori di macchine. 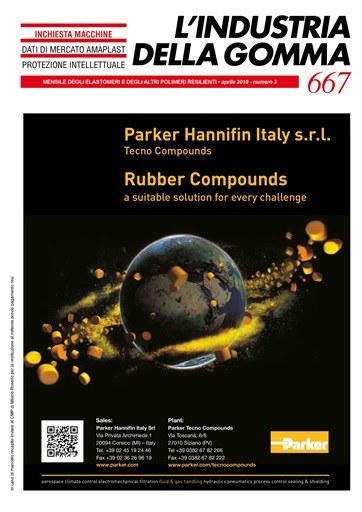 L’Industria della Gomma/Elastica (The Rubber Industry) was founded in 1957 and is sponsored by the Federazione Gomma Plastica/Assogomma, the industrial confederation of Italian manufacturers of rubber articles, electrical cables and similar products. You'll receive 10 issues during a 1 year L’industria della Gomma magazine subscription. You'll receive 10 issues during a 1 year L’industria della Gomma magazine print subscription.